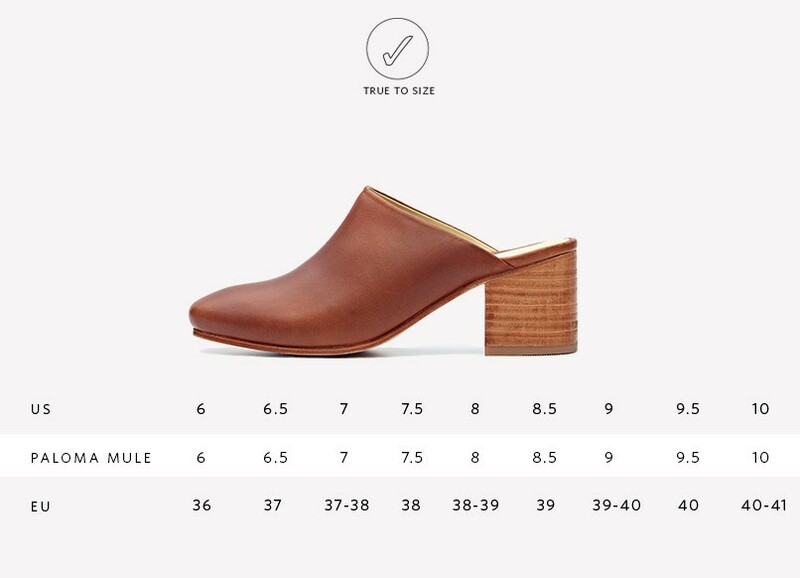 We guarantee our Paloma Mule will instantly feel like a well-loved wardrobe favorite. 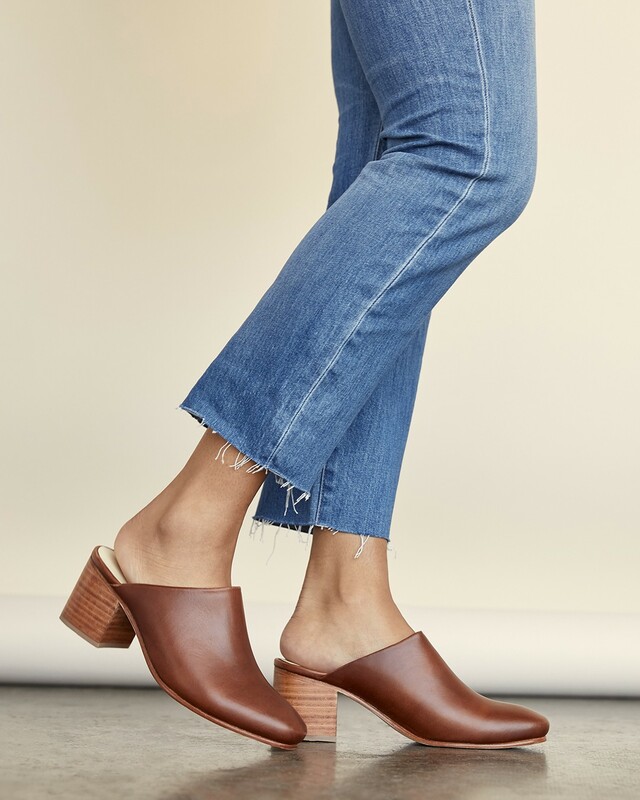 With its 2.5" block heel, the Paloma is sturdy yet sophisticated, comfortable yet elegant, and the perfect companion for when you're on the go all day long. Rest assured the Paloma can take it all on, so you won't have to take them off. Handmade in a factory we own and operate in Peru.